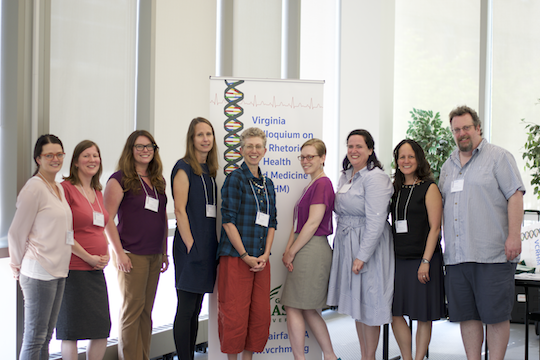 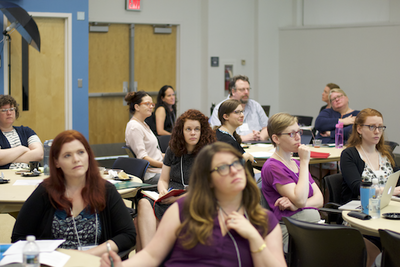 The goal of the first VCRHM was to connect researchers in rhetoric of health and medicine (RHM) from within and near the Virginia Commonwealth. 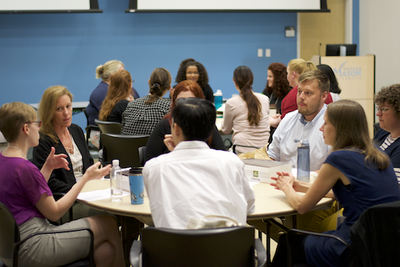 In addition to a keynote address by Kirk St.Amant, four graduate research presentations, a panel on collaborative research, and a poster presentation, VCRHM provided semi-structured events to help participants with varying levels of experience, including undergraduate and graduate students and early-career and tenured faculty, engage in opportunities for mentorship and collaboration. 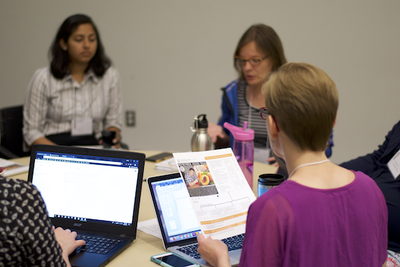 By bringing these scholars together, VCRHM 2018 facilitated efforts to help these scholars work together. 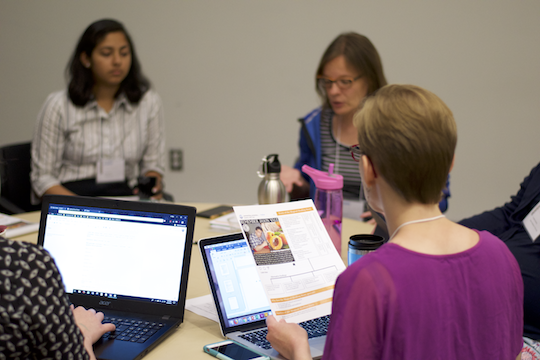 For more information, you can download the VCRHM 2018 program here or view the CFP here. 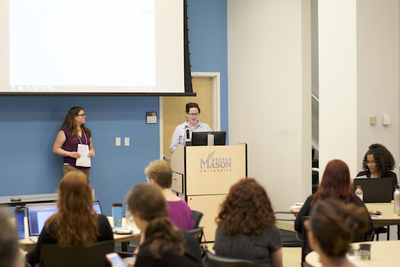 Leading VCRHM is Heidi Y. Lawrence (left) and Elizabeth Ferguson (right, at podium), shown here giving their opening remarks. 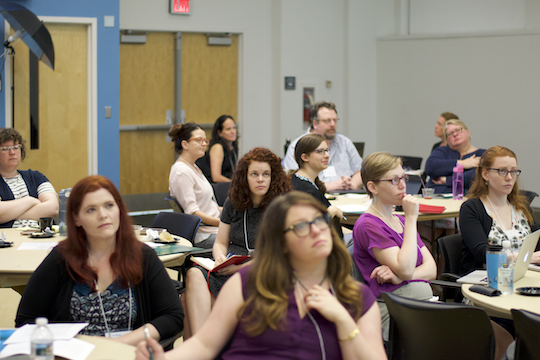 VCRHM participants listened to Kirk St.Amant's videoconferenced keynote address on the Cultural Contexts of Care. 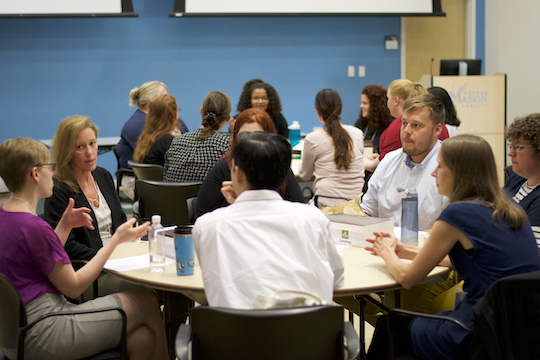 During the networking lunch, VCRHM participants introduced themselves, described their research interests, and asked questions about definitions of and experiences with mentoring. 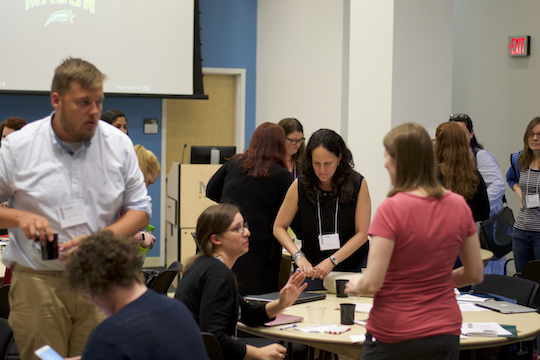 During the lightning round, groups with related research interests met to hear short pitches of research projects and to provide immediate feedback. 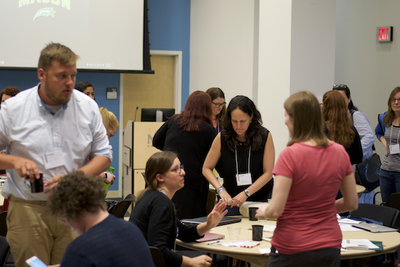 Throughout the day, VCRHM participants engaged in conversation with individuals and with the collected group as a whole. 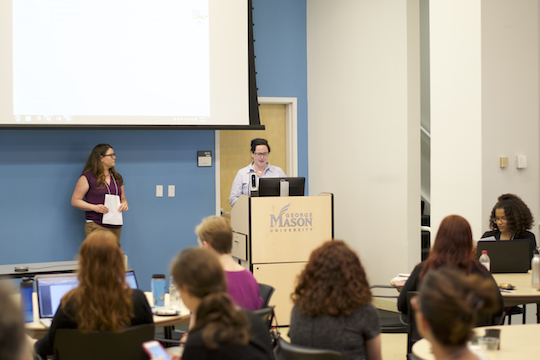 VCRHM was made possible by a 4-VA grant and the collaboration of scholars from George Mason University, Virginia Tech, and James Madison University. 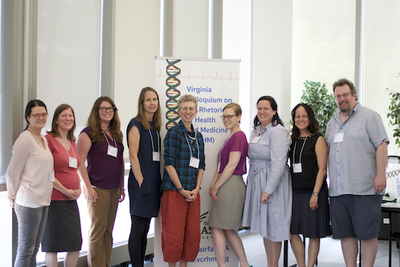 Shown here, from left to right, are Cathryn Molloy, Lori Beth De Hertogh, Heidi Y. Lawrence, Kelly Pender, Bernice L. Hausman, Rachael Graham Lussos, Elizabeth Ferguson, Lourdes Fernandez, and Michael J. Klein.